For most New Englander’s, swimming and aquatic recreation is only available for about half of the year. Our cold winters force us to close down our outdoor swimming pools in the late fall and wait until early spring before reopening them. For residential and commercial property owners, there’s a strong temptation to consider building an indoor pool – one that can be used year round. Indoor swimming pools obviously come at a higher price than the typical outdoor pool, but the advantages of swimming 12 months of the year are leading more and more homeowners and commercial property owners to consider this option. When you think about indoor swimming pools, think first of Affordable Pools, a locally owned and operated indoor pool builder. Residential Indoor Pools – Doubling the amount of time your pool can be used greatly increases the joy of pool ownership. If you can use your pool year round, you’ll get more enjoyment and great exercise, no matter what the season. Residential indoor pools can be built in a separate building, or included within the walls of your residence, depending on the particular situation. 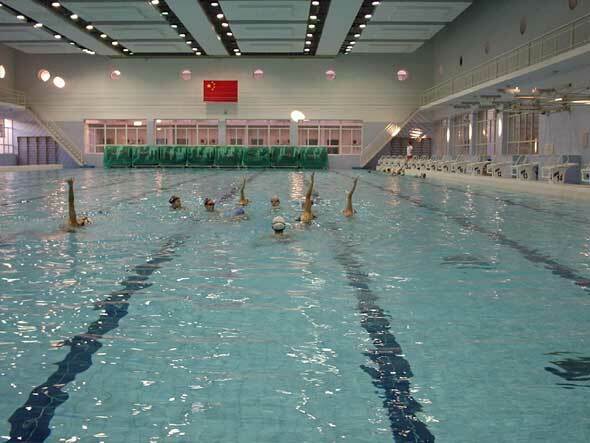 Commercial Indoor Pools – Any swimming pool is valuable only if it can be used by your residents, tenants, and guests. An outdoor pool limits that use to just half of the year. By building an indoor pool and other aquatic facilities, you add dramatically to the attractiveness of your property and that gives you a clear advantage over other properties. Adding an indoor pool presents some special challenges. During the design and installation, the following issues need to be addressed by seasoned experts to avoid costly repairs and remodels. In Existing Buildings – Access for excavation and construction, disruption of normal activities and concerns with ventilation and humidity are challenges when adding a swimming pool to any existing building. You need expertise and experience from your pool builder to solve these challenges. In New Buildings – Creating a building just for a pool simplifies the job, but swimming pool enclosures have specialized design needs. An experienced pool builder will work closely with architects and builders to create an ideal environment. Ventilation – Indoor pools require specialized ventilation, to prevent odors, excess humidity, and other problems. Water purification chemicals, too, can create odors and even corrosive atmospheres. Proper design and construction, along with specialized equipment, are essential. Humidity – Every swimming pool creates a high-humidity environment. Special dehumidification equipment may be needed to supplement the ventilation system. Here, too, the experience of your indoor pool builder is a crucial factor. If an indoor pool for your property is in your plans or dreams, Affordable Pools should be your first stop. We have the experience, expertise, and dedication that is essential to creating and building your residential or commercial indoor pool. Whatever you can imagine in an indoor pool or custom spa, we can help you design and build your dream. Our high-quality pools provide the long, low-maintenance durability that keeps your total cost of ownership low and your ROI high. We understand all the challenges that indoor pools present, and have the solutions you need to create an ideal indoor aquatic environment for year round recreation. Contact us today to discuss your ideas. Our professional pool consultants will be glad you help you take your concept and turn it into an exciting reality. Let us show you how an indoor pool is a great investment for your luxurious home or commercial building.